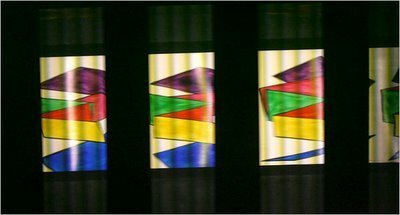 “Masstransiscope,” a piece by the artist and filmmaker Bill Brand, can be glimpsed from northbound Q and B trains nearing the Manhattan Bridge. 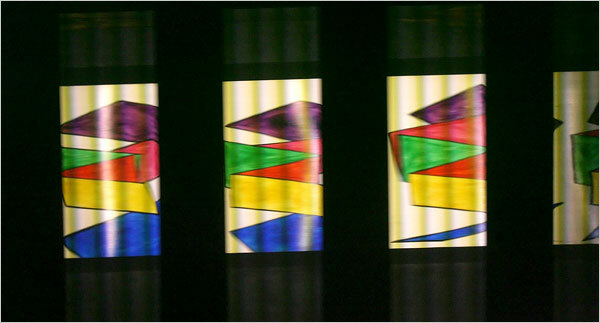 Artist and filmmaker Bill Brand, created Masstransiscope in the late 70's in an attempt to reverse the cinematic convention of the image moving past the viewer, instead moving the viewer past the image. Initially "He wanted to change the images regularly, making a movie, in essence, that subway riders would see only in little segments of 20 seconds or so, like a crazily attenuated version of the serials that once ran in theaters." Slightly overambitious, this idea was dropped for a simpler version of the original concept. 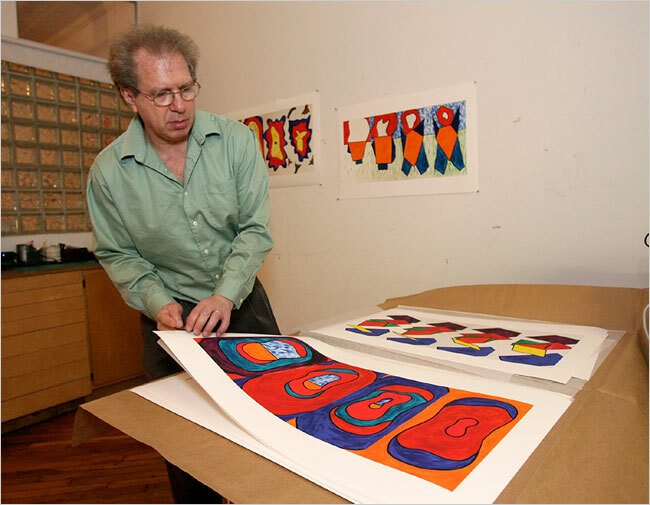 These days not only would Bill find himself navigating through a much more complex process of application and permission in order to carry out his idea, but he would also be competing with an aggressive advertising platform which has come to dominate the MTA's visual landscape. Alongside the addition of hundreds of traditional platform level posters, recent advertising additions include, projection units, adhesive wall signs, advertising on the outside of train cars, advertising in the windows of train cars, digital ads on the sides of buses, on the backs of metrocards, as well as the plan to create ads using the same methods Mr. Brand used for his artwork.